Midseason is a critical time for soccer players; a crucial time for clubs to solidify their positioning in league tables, create an established line-up and experiment in strategy with exhibition friendlies. 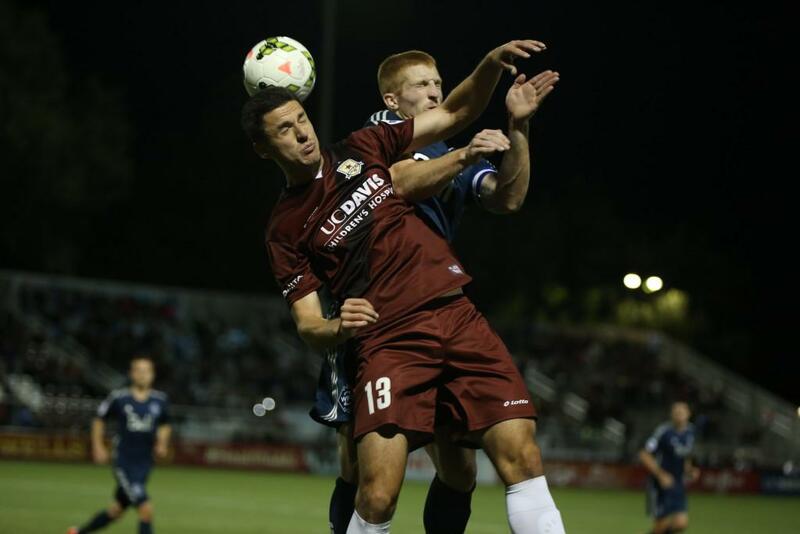 For Sacramento Republic FC forwards Kaleemullah and Adnan Gabeljic, this year’s midseason presents its own additional set of physical and mental challenges, as well as opportunities, through their practice and celebration of Ramadan. Ramadan, the Islamic holy month, coincides with the middle of USL’s midseason mark and a string of summer friendlies with international clubs such as Newcastle United. The fasting demands alone of Ramadan can be a challenge to anyone – some days require nearly 15 hours without food or water. The demands of professional athlete adds an even greater physical and mental demand to the observation of the holy month. But Ramadan is also a time of discipline and focus, aspects that are crucial to the performance of any athlete. Ramadan is the ninth and most sacred month of the Islamic calendar. For this year it started on Thursday, June 18 and will continue through Friday, July 17. The month-long fasting holiday changes Gregorian dates every year as the Islamic calendar is lunar. During Ramadan, Muslims fast from sunrise to sunset, abstaining from eating, drinking and refrain from other worldly activities such as swearing. While the fasting is obligatory for adult Muslims, exceptions may be made for illness, traveling, breastfeeding and other health conditions. Exceptions may also be made for professional athletes, including during travel but often by personal choice. Those who do not fast are expected to make-up the fast throughout the rest of the year. Before sunrise, those participating in Ramadan partake in a traditional meal called Suhur, while the meal after sunset is Iftar. Both meals are often social gatherings among family and friends. In addition to fasting, Ramadan encourages Muslims to separate from worldly vice and focus on the spiritual self through increase charity work and giving, increased prayer and study of the Quran. Kaleemullah and Gabeljic are sure to maximize their nutrition when they break their fast during the night. Ramadan requires both physical and mental discipline, especially for professional athletes who have greater nutrition, stamina and hydration needs. While fasting is a rare practice among professional athletes, it is not unprecedented. NBA great Hakeem Olajuwon observed Ramadan throughout his career, and was even named Player of the Month in February 1995, which occurred during the majority of Ramadan. Kansas City Chiefs safety Husain Abdullah also observes Ramadan. Kaleemullah and Gabeljic have participated in all Republic FC training during Ramadan, in addition to playing in demanding matches. Temperatures in Sacramento often hitting over 100 degrees during training and match days provide for an even more impressive challenge. Every night during Ramadan, as well as throughout the day, Kaleemullah and Gabeljic are careful to prepare for the day ahead. In addition to drinking extra water throughout the night, eating high probiotic foods such as yogurt and milk while avoiding diuretics such as coffee. Outside of practice, they both carefully prepare by resting throughout the day to balance the extra prayer and meal times required during the night. In addition to players individually preparing for Ramadan, Republic FC’s medical and football operations staff takes additional steps to assist players in their physical preparations. Kaleemullah and Gabeljic have chosen not to drink any water during their daytime trainings. As a result, Republic FC’s medical staff monitors them more frequently to ensure they are not experiencing headaches, dizziness, or nauseous, all signs of dehydration and heat-related illness. When outside temperatures soar above 90 degrees and a higher chance of heat-related illnesses such as cramps, heat exhaustion and heat strokes may occur, Duncan and his staff monitor closely all players to ensure their health but pay extra close attention to fasting athletes. The medical staff takes additional steps on the sidelines—such as readily available cooling towels and ice—to prevent any heat-related illnesses. However, even once the sun has set, both Kaleemullah and Gabeljic have to take steps physically to not overeat or drink to spike their energy levels to play. 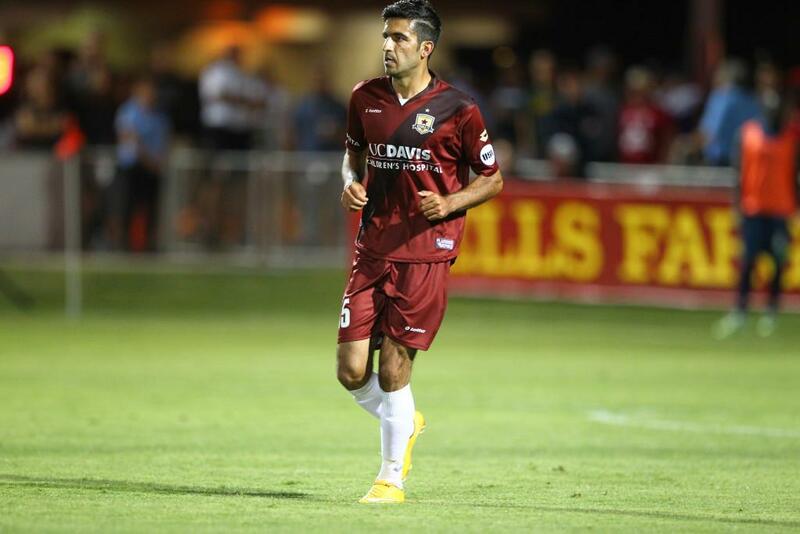 Both Kaleemullah and Gabeljic have appeared in USL play for Republic FC while fasting. In addition to the physical requirements of Ramadan, fasting is often just as much a mental challenge. Physically, players’ bodies adapt to the heat and lack of food, but mentally Gabeljic and Kaleemullah learn to recognize that just because they may feel thirsty or hungry, does not necessarily mean they need to eat or drink during the day. For many fasting athletes, the mental discipline provides an opportunity for them to refocus on their sport and performance. The discipline that they apply extends to their training, of which many believe. also makes them better athletes and actually assist in their play on the field, court or pitch. Having a teammate also fasting during Ramadan makes the experience more enjoyable and easier for Kaleemullah and Gabeljic. For Gabeljic, it is also the first time he’s been able to fast with a teammate and observe Ramadan together. In addition to the experience of training together during Ramadan, Gabeljic and Kaleemullah often attend mosque, pray and eat together as part of their observation of the holy month.